With 4 reds I'd go on there. Well at least he certainly wouldn't have won the £250k with today's finish. £64,000 would've a Deal for me. And Tony becomes the final player to "miss out" on £500,000. 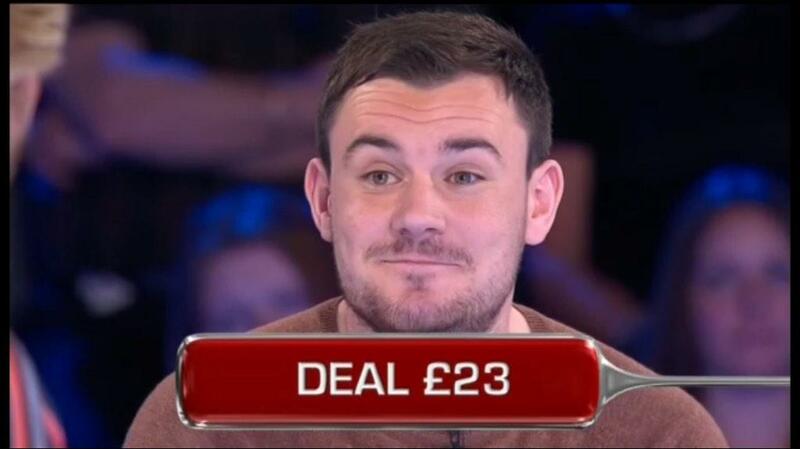 Realistically, though, he only missed out on £34,000, and he seems more than happy with £30,000 regardless. Unfortunate result from a perfectly reasonable deal. Hopefully he won't have too many regrets. Had he had known the % (doubt it) he may have gone on but nah, I can't see it happening. The final ever bad answer to box 23? 7 more studio games left.